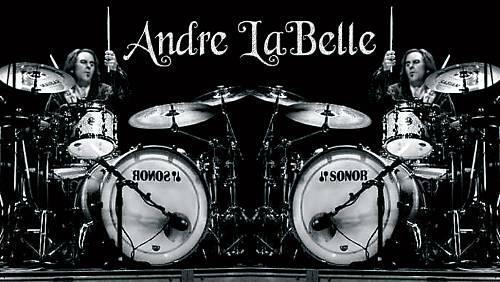 Many of you drummers, music professionals and music lovers alike, have already heard of Andre Labelle, but if you haven’t, you will. 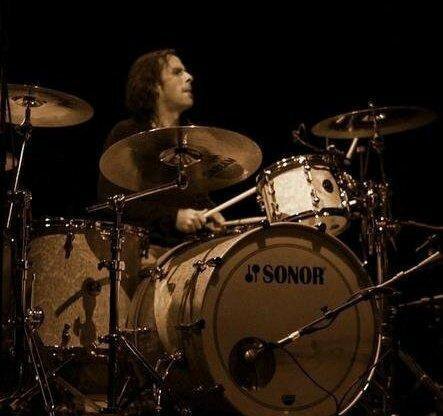 With his flawless, gritty drumming style, he is by far one of my all-time favorite drummers. Andre’s thoughts and ideas regarding the music industry today are refreshingly honest and borne from experience. 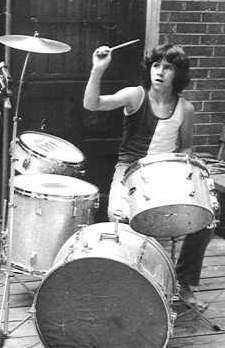 Andre has been playing the drums for most of his life. Born in Richmond, Virginia, into an already artistic family, his own extraordinary talents exploded under this kind of atmosphere. Andre’s father was a well-respected artist and his brother, Jean, is also a musician. 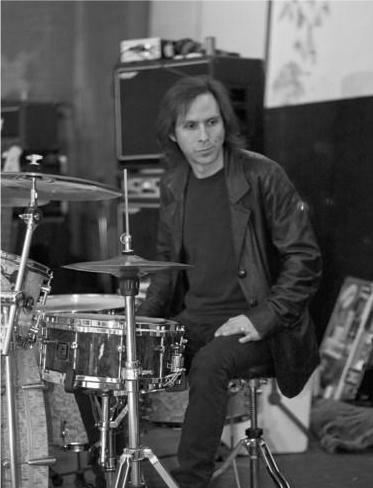 Andre resided in Los Angeles for many years and has played with such music legends as Vinnie Vincent (KISS); Michael Monarch (SteppenWolf); Josh Todd (Buckcherry); Richie Kotchen (Poison) and Chris Holmes (W.A.S.P.). 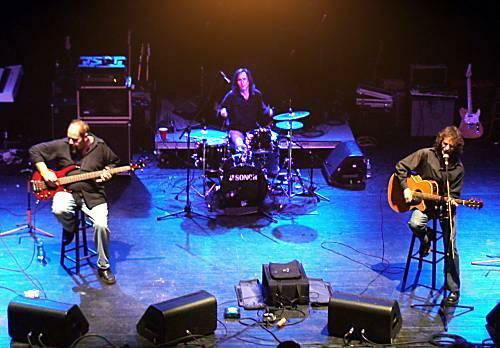 Currently, Andre is playing with The Sky and Robert Fleischman (formerly of Journey), LaBelle Band and Horsehead. He is also involved in recording sessions with music giants, Bill Leverty of Firehouse and legendary bassist, Keith Horne. Just when you think he couldn’t possibly get any better, he does. Andre will continue to surprise and delight his fans time and time again. 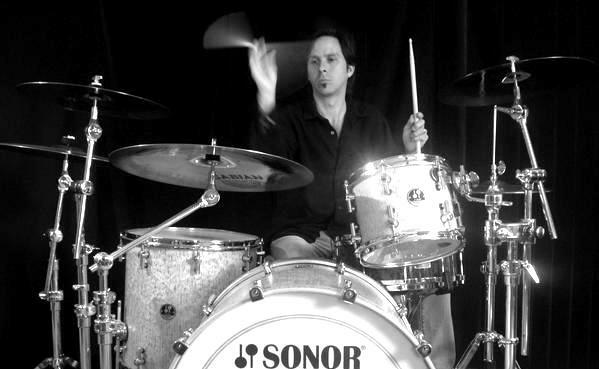 Pull up a chair and visit with this powerhouse master drummer, and make sure to watch the videos. You’re in for a ride! 1. You were young when you started playing the drums. I understand that your mother’s passing was a catalyst in the beginning days. What do you think she would say to you now if she could? Tough question! This was really hard to deal with as a boy and a loss of this nature never heals completely. I would hope that they would say, “We love you and are still here watching over you”. My love for art and music is my way of carrying on my fathers’ spirit. He was an accomplished painter and spent much of his time with my brother Jean and me as we learned to play music together. Our living room literally consisted of canvases and easels on one side and musical instruments on the other. Looking back now I realize I was truly blessed to have such wonderful inspiring parents. Which makes the short time I had with them all the more beautiful and painful. 2. How long were you living in L.A., and what brought you there in the first place? My brother, Jean and I had been playing together since childhood with our dear friend, Bruce Henn, on bass and had regional success with the support of a popular local radio station (Richmond’s XL102). We did some wonderful shows [on] the east coast circuit, including a concert at our state fair. I remember seeing an ad on a six-pack of Coca-Cola at the grocery store for that show and still have the clipping to this day. Over four thousand people attended and at the age of 15, I was thrilled to say the least. But the band suffered from the loss of our father and could not continue without his support. I later played with some other successful east coast bands such as Axeworthy and Empire, to name a few but I had been living on my own since I was 17 and didn’t have any promising reason to stay in Virginia. By the time I was 20, moving to Los Angeles seemed to be the best choice for me. I lived there for over a decade and was honored to have recorded with many amazing artists. 3. You give private drum lessons and perform clinics. I can imagine that people would want to secure you as their teacher/instructor. What do you like about teaching and what’s the best way for people to find out more about this? Teaching the future has been an educational experience for me as well. You get a fresh understanding of your own knowledge when explaining it in detail to someone else. It also inspires new concepts and creativity. 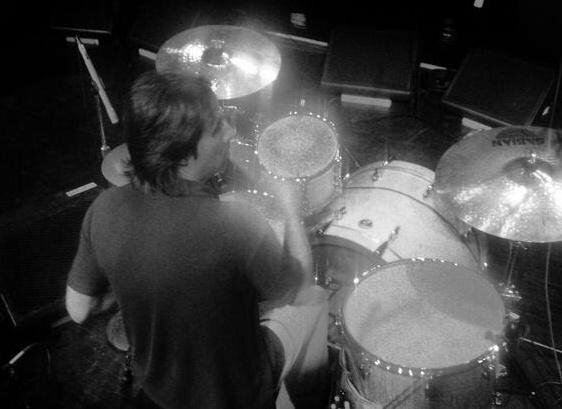 We all learn from others and passing [on] what I have learned to a new generation of drummers has been a wonderful opportunity. It’s cool how young drummers realize that a lot of modern music today use drum machines and they understand the difference between the human voice and a talking robot. My students are interested in the legendary bands from decades past, such as the Beatles, Led Zeppelin, Rush, and even Jazz greats like Buddy Rich and Gene Krupa. The internet has helped secure the real art of musicianship in this way. When I was coming up the media dictated much of what we discovered, but now you can find drumming on YouTube that would be almost impossible to find in our day. I’m still discovering musicians from the early years that I never knew existed. 4. Just a few nights ago you were in the studio with Bill Leverty of Firehouse. What can you tell us about that project? I have known Bill since we were teenagers. He is a dear friend and a brilliant musician and producer. 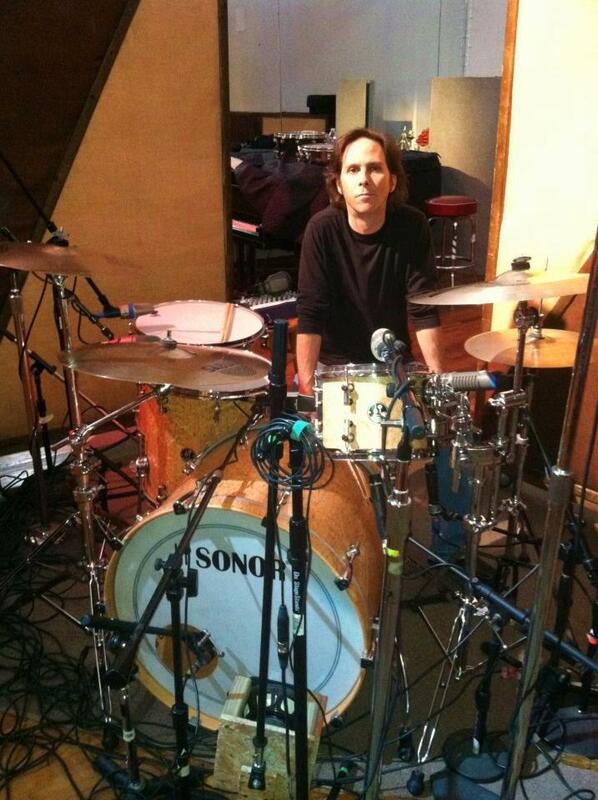 Recently I have been recording drum tracks at his home studio, between his Firehouse schedules. We have been recording re-makes of classic songs from the sixties and seventies that can be purchased through his website. Some of these tracks include such classics as ‘Free Ride’ and the Ohio Players ‘Fire’. I’ve also been hired to drum on various other artists’ sessions that Bill has produced. Leverty is not only a master guitarist but the sounds he is able to create in his studio are some of the best tones I have ever heard. [I’m} very grateful to be working with him. 5. 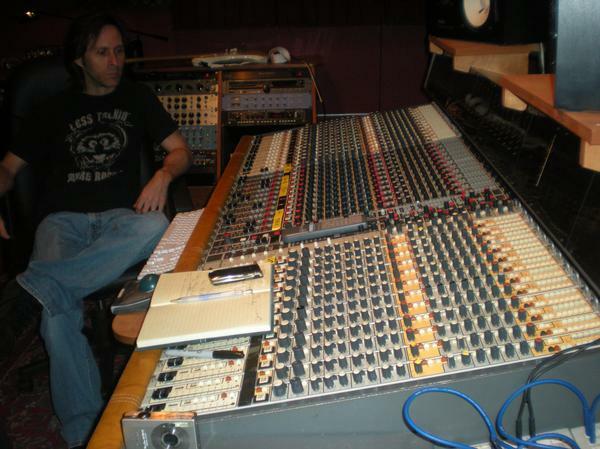 Can you tell us about what you are working on with former Journey vocalist, Robert Fleischman? I met Robert while recording with Kiss guitarist, Vinnie Vincent in Los Angeles. A few years ago I called him to congratulate him on his induction with Journey to the Hollywood Walk of Fame. It seemed his desire to perform live was again inspired and I told him I would help look around for musicians. At this time I had relocated to my hometown of Virginia. Robert had already auditioned some players in Los Angeles and was curious to look in a different circle. I knew a great bass player, Steve Barber, who knew a great rhythm guitarist. Robert had his management fly us to Vegas for a few days to jam around at a sound stage located there. Robert had already teamed up with our good friend, guitarist Mike Weeks, for this new venture. The time we spent there was amazing but we had the problem of distance between us to deal with. Robert had been considering a change and decided to relocate to Virginia and develop the band here. 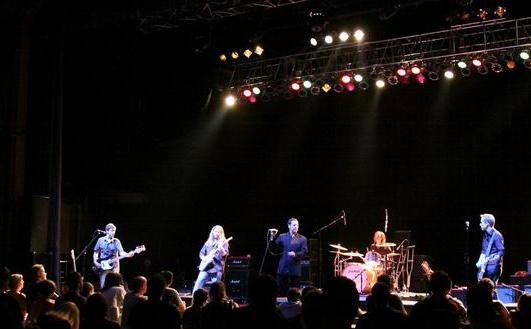 We (The Sky) played our debut show at a beautiful theater here in Virginia on May 22, 2009. [We] then began to put our focus on recording the debut album which has presently been released worldwide. We have since filmed a video to support the album and it should be out in the near future. The current band line up is: 1) Brady Cole, Lead Guitar; 2) Ryan Lake, Rhythm Guitar; 3) Steve Barber, Bass Guitar; and 4) me on drums. We recorded new songs just [a few] months ago, one of which will be featured in a video as well. The Sky has an atmospheric chemistry and could be compared to the likes of Oasis or a heavy sounding Bowie. Fleischman’s song writing is brilliant on this record and the character in the guitar work is beautifully delivered. I recently was invited to see a Journey show with Robert and it was really cool to hang with them in that legendary circle. They’re wonderful people. Journey had inspired me greatly in my youth. 6. You are married to your high school sweetheart, Donna. Which I think is so incredibly cool. The two of you have a daughter, Holly. How has being a husband and a father influenced your music over the years? Donna and I have been together since our youth and she was a beautiful Godsend to me following the passing of my parents. Holly was born [in] January of ‘97 and Donna and I have both been truly blessed with a kind-hearted angel. I was working with Andy Susemihl, from the band Accept along with Deanna and Richie Kotchen, when Holly was a baby. We were living in Santa Monica, California at the time and real estate cost a pretty penny there. We had saved for a down payment on a house and decided Virginia would not only offer more land, but be a better place for our daughter to grow up in. I realized living in Virginia wasn’t the most promising environment for a working musician but, our family came first and I have no regrets. 7. I remember when you were playing drums for Black Rose. We were in high school and you were our local celebrity. All the girls had crushes on you (and Donna says: “Eat your heart out!”). Do you think that kind of local popularity has helped prepare you for the future? Thank you for the kind words. I never really got completely comfortable with popularity. The music industry is extremely competitive and full of narcissistic personalities. I’m truly grateful when someone admires me for the time I have devoted to drumming but, it’s really just time. I believe anyone could accomplish any craft they choose if enough time is sacrificed. I tell my students that when you see someone with a lot of talent and you wish that you had talent too, it’s not really that they’re more talented than you, they have given more of their time to the craft then you have. You could do the same if enough time is focused on practicing. I guess it’s really a trade. How bad do you want it and how much are you willing to give to get it. Fame should come from people’s understanding of this sacrifice. I have so much more I could be accomplishing but, would have to be willing to leave my comfort zone more often, and watching TV with a hot cup of Cocoa sure feels nice. 8. I know at times as an artist, I question where this drive really comes from, for fear of losing it, if nothing else. Do you find yourself doing the same? How do you answer yourself and how do you find that answer? That’s an interesting question! I know that you’re a writer and you must really enjoy reading. 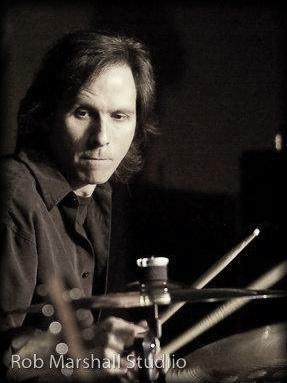 One of my favorite pleasures has always been music and drumming. I could have simply enjoyed listening to other peoples’ music and that would be wonderful but I seemed to love it so much that I wanted to experience it through my own hands. Now this may be a bit philosophical but everything we do is experienced through five senses so maybe the drive comes from the desire to satisfy them; Pleasure seekers, if you will. It may be the good feeling you get from giving or receiving. Either way it’s all about feelings. Music is built around this simple fact. When you hear a sad song performed by an artist like Elton John or an angry aggressive song that Metallica would produce, you’re really just tapping into an emotion. So I believe the drive comes from the desire to feel alive. 9. Andre, you and I grew up together and we have both been involved in the music industry for many years. I vividly remember going into the record stores where we grew up and leafing through the millions of LP’s. Does anybody even know what that is anymore? Technology seems to have taken some of the artistry of music and made it somewhat insignificant. How do you think the industry has changed since we were kids? How has it affected you, as a musician? One of the problems with technology is that music isn’t a tangible purchase anymore. I remember treasuring my record collection and looking at the album cover art with excitement. It was a real object, not just an icon on a computer screen. [It’s] kinda like purchasing cable TV. You get to watch it but it doesn’t feel like it really belongs to you. It’s just a downloaded code in your cable box. As well, most music is available for free on Youtube; uploaded by fans that want to feel a connection to their favorite band but what they don’t realize is, they could be disconnecting themselves from seeing that band perform live. 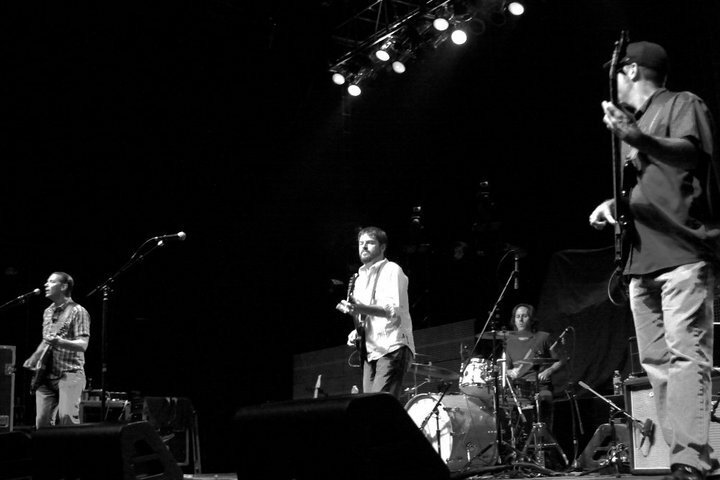 Touring cost money and if not enough is produced from album sales to support a tour, their favorite band will not be performing in their city. Our local coliseum (Richmond Coliseum) barely has concerts anymore but when you and I were young our summers were filled with them. The big difference with today’s art is that the music industry has spent a decade inventing ways to have more financial control. Historically, record companies would send out talent scouts to discover new music that was pioneering and unique. Many of the people involved with this scouting had a real respect for the art of music and wanted to find talent they believed worthy of investment. Decades later, the CEO’s discovered that the real money was not in signing music, but rather in creating it and owning it. So instead of signing artists with rare and unique abilities to create, they themselves created TV shows to make Stars out of talented vocalists that are contracted to record the songs written by those companies. It’s simple to understand how this benefits the ‘powers that be’. Very clever indeed. Unfortunately, the beauty of music isn’t just about a singers technical skill. Much of today’s music is missing the character and personality of pioneering legends like Bruce Springsteen, Elton John, or bands like Fleetwood Mac, Aerosmith, Led Zeppelin, Rolling Stones and the Beatles. 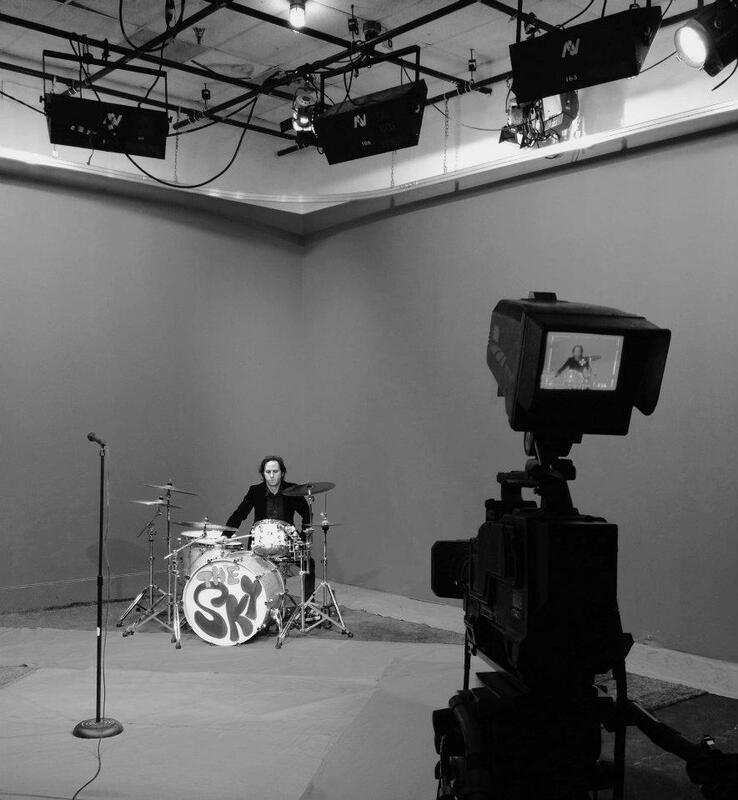 I’m not suggesting that I don’t respect singers with range and technical skill because I truly love technical drumming too and most of the vocalists on these TV shows are amazing. 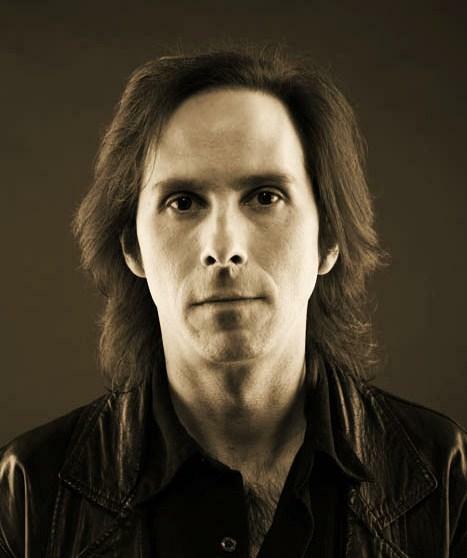 However, I enjoy an artist with character and unique tone, even more so when combined with unique songwriting. Here’s an analogy. I speak the English language as well as the next guy but this doesn’t mean I can say it like Clint Eastwood. Speaking of television, consider the new reality shows like Jersey Shore. They have almost eliminated the need for expensive actors and actresses, and are laughing all the way to the bank. 10. Do you have any advice for other musicians out there who are struggling to make a name, or at least a place, for themselves? What would you say to them? The only thing we are truly in control of in this business is our music. You can’t make someone invest in your dreams but you’re completely in control of your abilities as an artist. Focus on this for the most and you will find others that believe in you. “talen” = “talent”, last sentence. oops. Thank you, Andrea! I, too have known Andre almost my whole life. You couldn’t be more accurate. He’s good people! So sweet of you to say that, Andrea. Means a lot to me. Love to you. wow, what an awesome interview my friend, and it was really nice to get to know more about such an accomplished musician such as Andre Labelle! thanks for sharing on how you got started and about your music and family ! Wow you have had such a great career! This was such an awesome interview! Bravo! Very Grateful : ) Thank you. 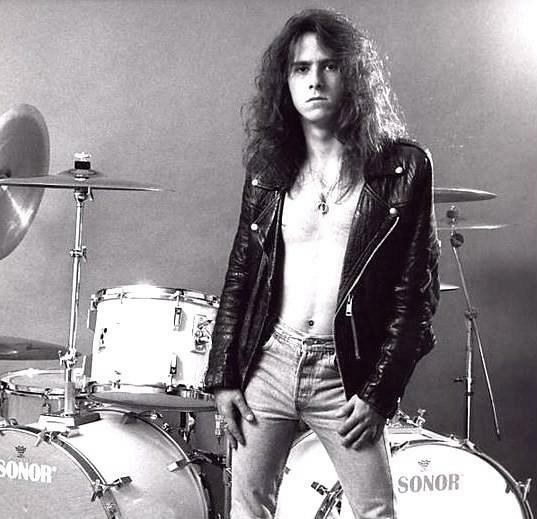 Andre – RnR – The Baddest MF Drummer!!! Anytime., Andre…anything for you, my friend! Very interesting interview, Rayne – you seem to manage to get aspirational people to open up to you. I related very much – in my own limited way – to what he was saying, particularly about the days when it was the practice (for me anyway) to sit with an album cover in your hands, reading the lyrics, admiring the artwork, absorbing the creation of it all. Andre seems like a cool guy – it was refreshing to read. Thank you. Hi Rayne! I found the interview very interesting and thought provoking. I like how Andre seems so genuine. He has allowed his heart to show through. “What the World Needs Now” for sure. I have known you since you were born and can say that you, very early in your life, showed a natural talent in writing. Thank you for sharing this interview. your most welcome Andre, and loved the interview! Kudos to you and Rayne! I simply want to say I am just newbie to blogging and site-building and truly loved this blog. Probably I’m want to bookmark your website . You really have excellent articles and reviews. Appreciate it for sharing with us your website.